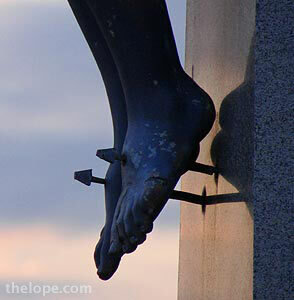 It is Good Friday, the day on which Christians reflect upon Christ's crucifixion. On this day we offer our Christian readers a selection of photos from the last couple years which we hope you will enjoy. The one above is from a July, 2005 visit to the Cross of our Lord Jesus Christ near Groom, TX, between Interstate 40 and Route 66. This crucifix stands outside a church in London at Bryanston and Old Quebec Streets, at least it did as of when I shot it last October. I was aware only recently that "crucifix" and "cross" are not interchangeable words. 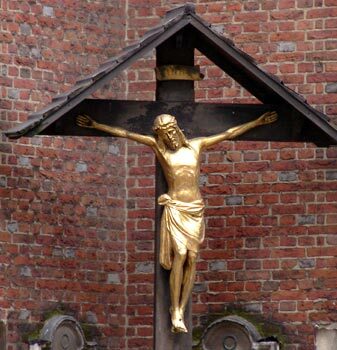 A crucifix is an image of Jesus Christ on the cross, while a cross is...well, a cross. Incidentally, the loincloth he wears is called a "perizonium." 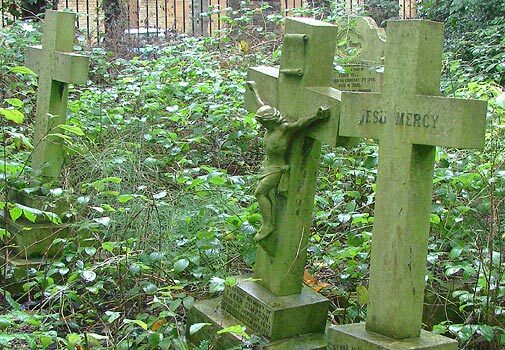 Here's a crucifix tombstone in the lush, overgrown (and rainy that day) environs of London's Highgate Cemetery, also from last October. For the benefit of genealogists, I note that this tombstone marks the graves of Maria and Mathias Kallenborn, who died in 1928 and 1930, respectively. And here, thousands of miles away, is nearly the same image in the stark, windswept landscape of St. Patrick's Cemetery in Chapman, Kansas, USA, last May Day. Notice that in the last three photos, the posture of Christ's head is the same - fallen to his right. I looked into this a bit, but found no scriptural basis for it (which doesn't mean there isn't one). 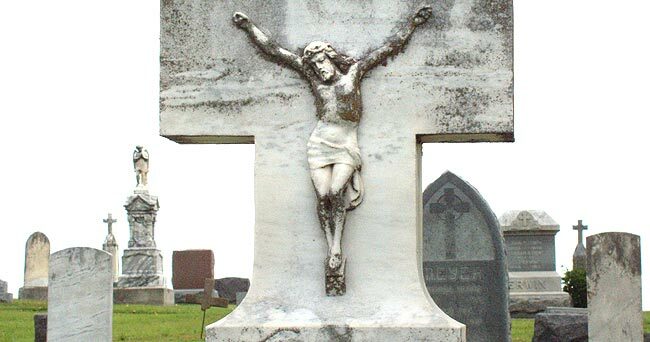 A look at Wikipedia's listing for "crucifix" reveals four more crucifix photos...all with Christ's head to his right. I don't know if that is a coincidence or not; perhaps all are based on an older artwork used now as a reference. Perhaps someone more knowledgeable can comment and shed some light on this. 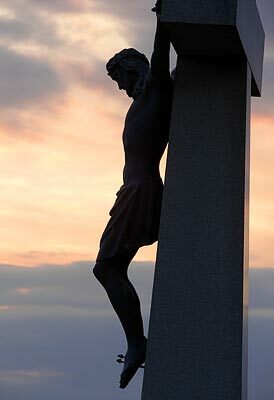 Here's another statue in St. Patrick's Cemetery in Chapman, Kansas. And here's another of Highgate's tombstones. See some of Highgate's crosses as well as more of Chapman, KS in our recent St. Patrick's Day post. 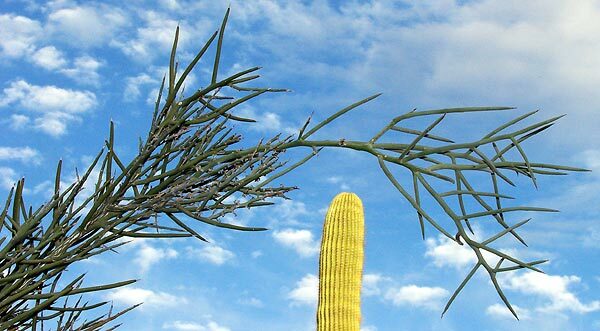 Last month in the Desert Botanical Gardens of Phoenix, Arizona, I noticed this Crucifixion Thorn (Castela Emoryi), which is native to the Southwestern United States and Northern Mexico. It's not as thorny as the The Thorny Orange Tree (Poncirus trifoliata) of China, but evocative of a crown of thorns, nevertheless. Some of you might find this Wikipedia article on the crown of thorns and its supposed relic remains interesting. 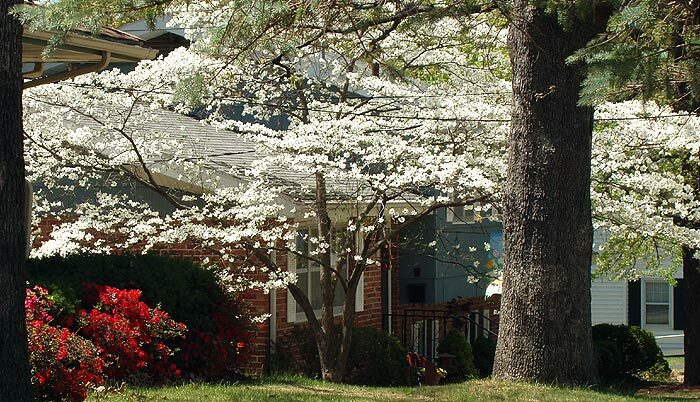 Speaking of plants, the Dogwood Tree, seen in the photo above in its white and pink flowering forms at left and center, is the state tree of Missouri and produces the state flower of Virginia. 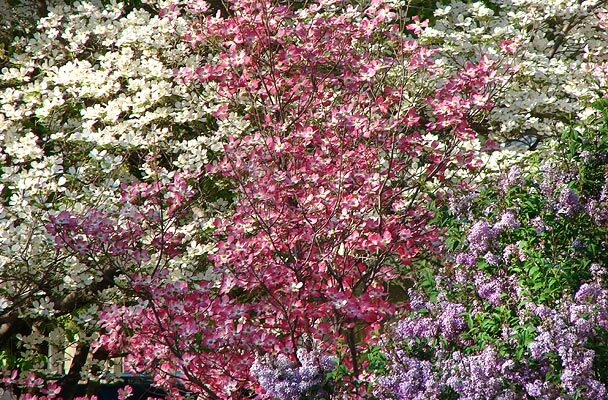 As of today, it is already past its peak flowering period in Missouri, which is unfortunate for the small town of Neosho, MO, where a dogwood tour scheduled for two weekends from now has been cancelled because there'll be nothing left to see. This is because of the double-whammy of unseasonably warm temperatures of late (global warming?) and the current arrival of freezing temperatures and snow in April. 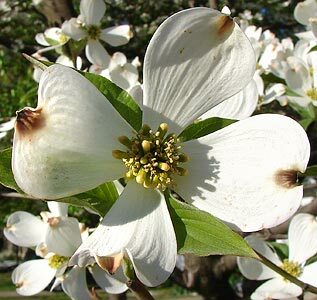 Why mention dogwood? Because of the Christian fable that the cross upon which Jesus was crucified was made of the tree, which, legend holds, was larger and stronger at the time. Afterwards, Jesus is said to have altered the form of the tree into its thin, twisted-branch form such that it could never be used for this purpose again. 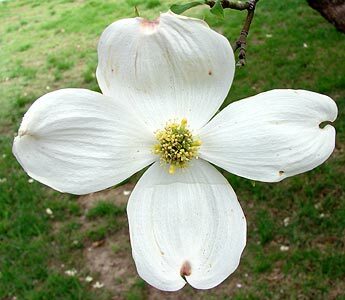 The petals of its flower are said to represent the four arms of the cross, stained with his blood. Of course, Good Friday, like many Christian holidays, has pagan roots, but is most identified in Western culture with Christianity. Some Christians even de-emphasize the day; uncomfortable with the pagan origins of both Good Friday and Easter, they also point out the contradiction between Jesus being dead three days and nights, while there are 48 hours between Good Friday and Easter Sunday. 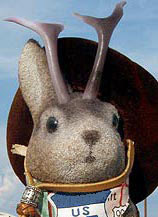 Whatever your beliefs, we at "The Lope" wish you a happy and safe Easter weekend. Enjoy what company you may have, contemplate whatever makes you more of what you wish to be, and appreciate every moment. Well have other related posts this weekend.